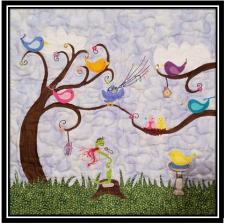 Ready for a lively quilt project you'll be "hoppy" to display? Then stitch a pond filled with cavorting croakers! Bullfrog Boogie has frolicking frogs putting their webbed feet together for a colorful country dance. 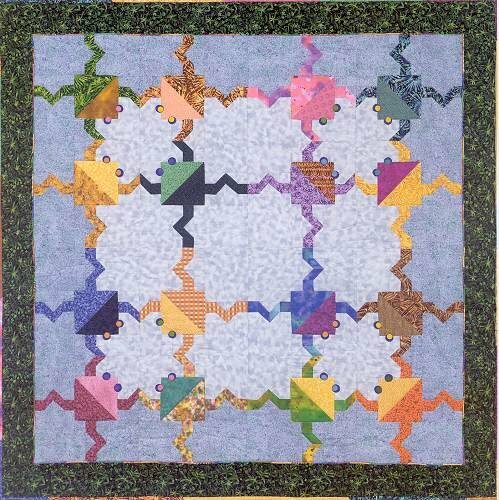 Dive into the brightest of fabrics & colorful, zany scraps to craft this whimsical pieced design. You'll be jumping with joy when you do the "Bullfrog Boogie."